Don’t try to control your Life. You can’t. 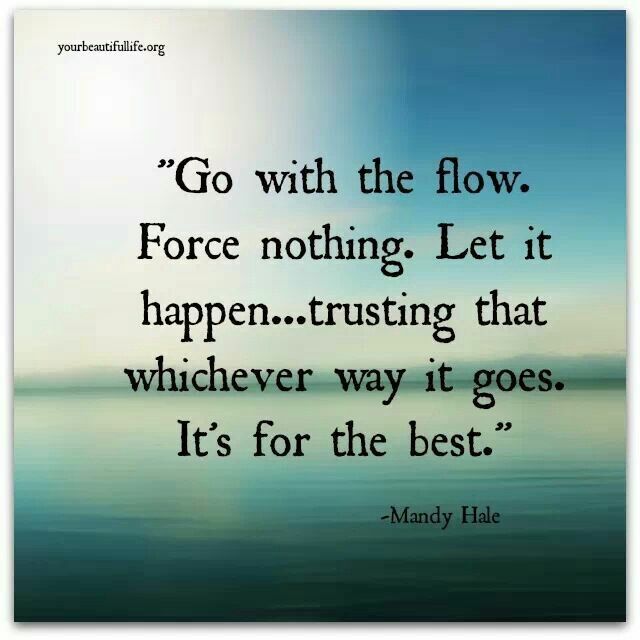 Instead, simply go with the flow! Someone we know is going through a tough phase in Life. None of what he’s doing or is trying to do is yielding him the results that he is looking for. In fact, for most part, his efforts are not fetching him any results. He’s trying harder each day, fighting frustration and depression, but he’s just not getting what he wants. He asked me what he should be doing. But what do you do when you don’t like the direction of the flow? The truth is, you don’t have a choice. Well, when you are unable to proceed in the direction you want to move in, you can either resist Life and suffer. Or you can simply accept – and want – what you get. Wanting what you get is the key to happiness. Truly. Here’s what I have learnt from Life. Don’t control, don’t resist, don’t grieve when it doesn’t go as per your wishes, your plans. Stay anticipating and welcoming the possibility of an exciting adventure and you will never be unhappy. On the other hand, you will be able to feel and be the bliss in each moment. What is a sudden health diagnosis: a cancer or any other debilitating disease? It is an adventure. What is a job loss? An adventure. What is a broken relationship? It’s an adventure. You call something an adventure when it is an experience that you have not been through before. Almost all the time since you__and I__were born we have been encountering Life at its own terms. One surprise after another. But we see it in a linear fashion. We see our Life go through onlythese stages: birth to starting school, starting school to finishing school (pre-school to high-school), starting a course to qualifying for that degree, starting a job to starting a family, finishing actively caring for children to retiring from your job, starting retirement to reaching death. 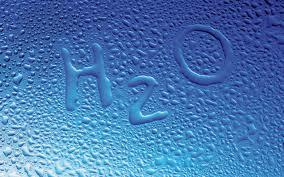 So, while are essentially flowing with Life, we think we are in control. Surely, a lot of these stages apply to almost anyone who is capable of reading this post now. But if we look deeper, peeling off layer after layer in each stage, we will notice that there have been so many unforeseen events at each stage of our lives, events that we have been able to overcome them and get to today. So, why this anxiety about Life’s next surprise or adventure? Why the fear of an ‘unknown’ future? Why do you want to control Life and steer it away from adventure to predictability? Going with the flow does not mean giving up. It only means that you must not think anything’s wrong with you just because your efforts are not fetching any results. When you think you are the problem, you will feel frustrated and depressed. Instead look at the problem – and address it. Do whatever you can and you must in a given situation. If you don’t get the results you wanted, try again. And again. And while you keep trying, go with the flow of Life too. 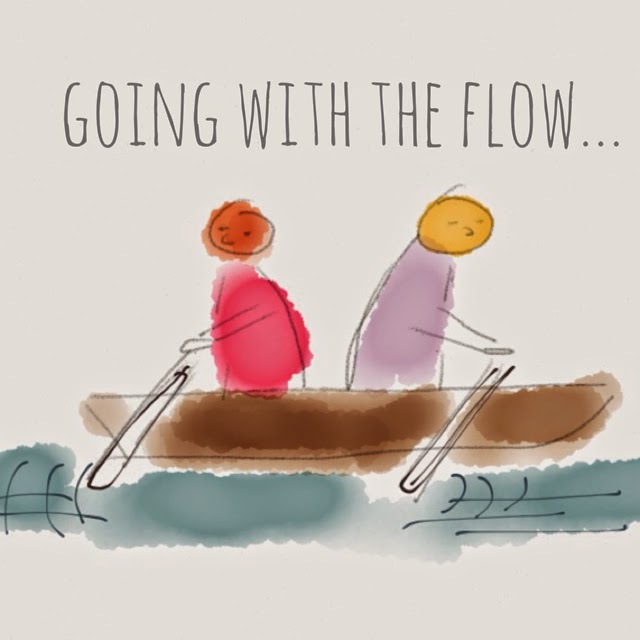 Going with the flow means living with what is. Living with and loving what is, is happiness!